Mustard is one of the most common condiments or herbs used in almost every household. Mustard seeds are derived from the mustard plant and the three most common varieties of mustard are black, brown, and yellow. 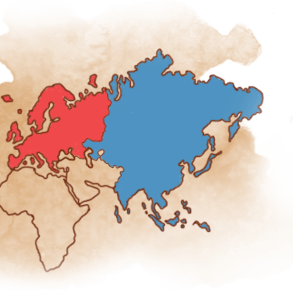 Mustard seeds can be traced to different areas of Europe and Asia. The white mustard variety originated in the eastern Mediterranean regions, the brown from the foothills of the Himalayan Mountains, and the black from the Middle East. 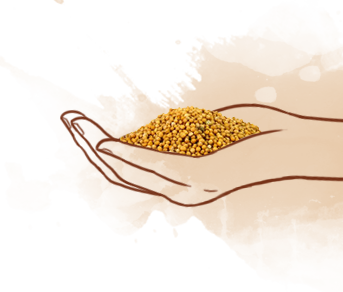 Mustard seeds are mentioned in ancient Sanskrit writings and also in the New Testament. Brown mustard seeds are 1-3 mm in diameter and have a pungent/bitter taste. Black seeds are larger than the brown ones and are oblong and have a strong flavour. Yellow/White mustard seeds are larger than the Asian variety. When ground, they give off a pungent smell, and cooking releases an acrid, earthy aroma; they have an initial sticky sweetness. 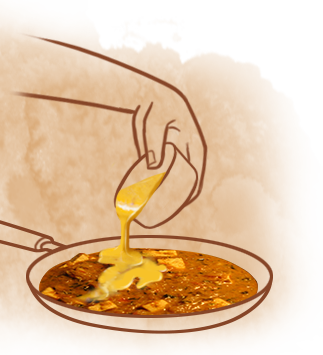 Ground raw seeds are used in curries, especially in the mustard sauce dishes in Bengal. Mustard oil is made from brown mustard seeds. Powdered mustard is used in barbecue sauces and works well with most root vegetables. Brown seeds are dry-roasted or heated and used in southern India cuisine for their nutty flavour. Mustard seeds have selenium and magnesium, which make them anti-inflammatory; they also help improve immunity. When consumed regularly, mustard seeds can control and fend off symptoms of asthma, cold, and chest congestion, and also prevent/slow gastrointestinal cancer and lower cholesterol.